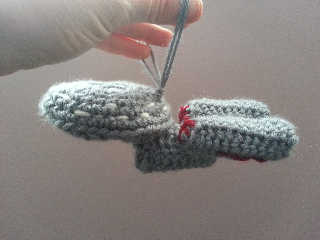 Teaching to pay for my knitting habit. 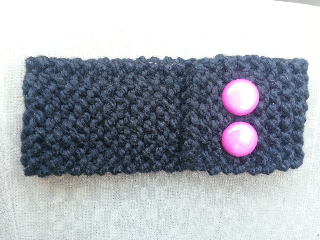 I knit the black headband for Alaina's favorite teacher at daycare, Brittany. I have made a lot of headbands lately. 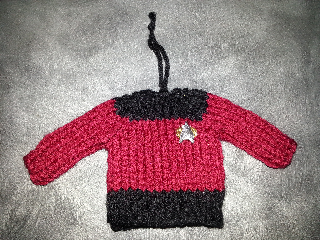 I love how quick they knit up. 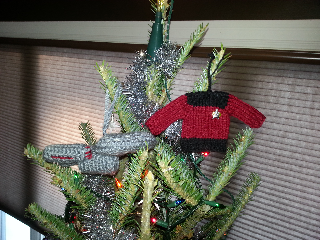 I made the crocheted Starship Enterprise and the knitted Star Trek sweater for AJ for Christmas. I think they look pretty cute on the tree. Now I am knitting two newborn sweaters for my friend Kate who is expecting identical twin girls any day now! ELLERİNİZE SAĞLIK ÇOK GÜZEL OLMUŞ.GÜZEL PAYLAŞIMINIZ İÇİN TEŞEKKÜRLER. Where did you get that, Anita?